At Warner, we take pride in our process of designing and building custom solutions for any material handling, lift, platform, mezzanine, die storage, cart or conveyor project. We review the existing process with a team approach involving the end user and the design team. After a concept is accepted, we provide detailed design prints. Any changes or concerns are addressed before we produce a product. Upon delivery we ensure the product performs to all specifications detailed in the process. 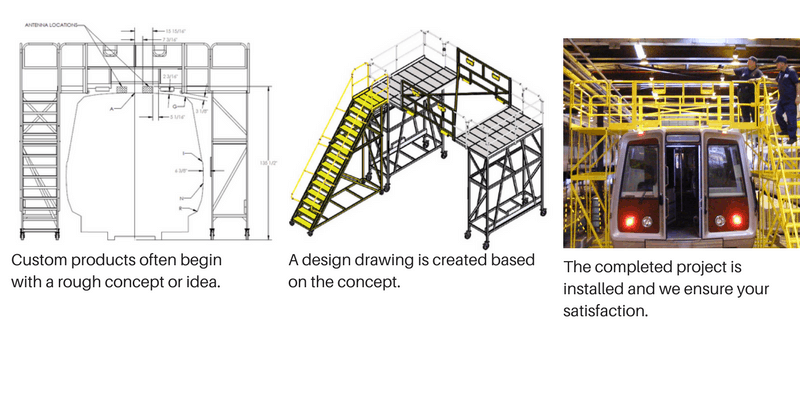 All the details are revisited ensuring no design, process or application issues exist.